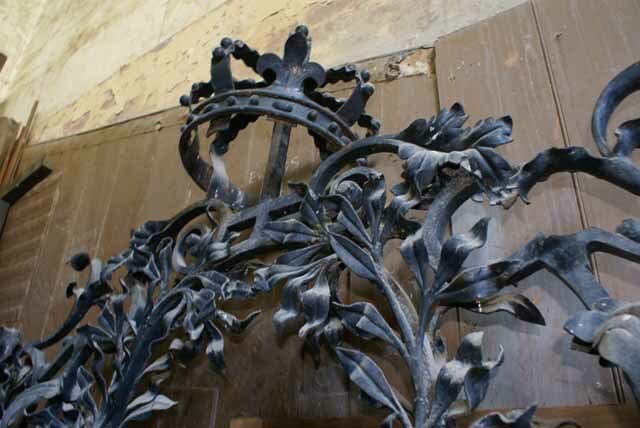 The Project | Restoration of 'Tijou' Gates at Petworth House. This is the project to Conserve and Restore the ‘Tijou’ Gates at Petworth House commissioned by The National Trust, Summer 2012. The ‘Tijou’ Gates are sited on the Grand Carriage Drive running from New Lodge East to the House itself. 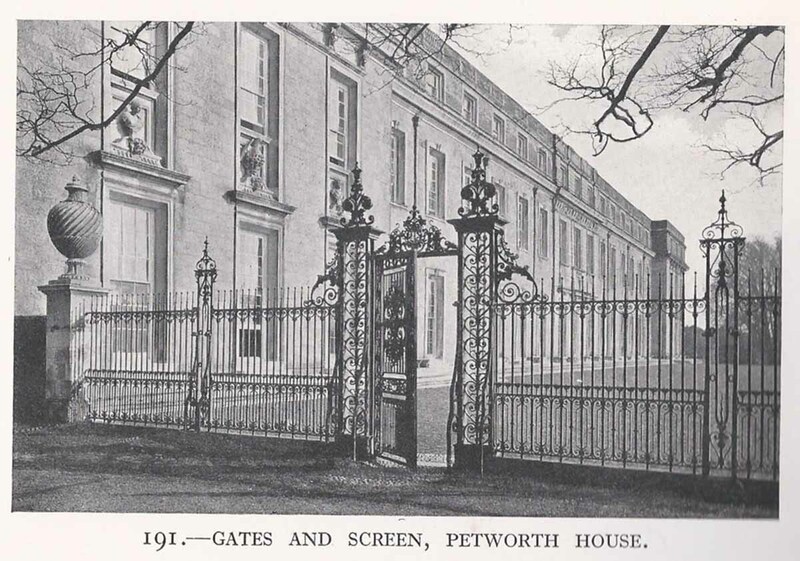 The gates are south west of the House and a final installment of a grand scheme of Wrought Ironwork at the House. Palisade fencing, gates and screens (see photo above) flank the House looking out onto the Capability Brown designed landscape. Originally the Carriage Drive took you from the road into Petworth Town, across the Park landscape toward the House where on the approach you viewed the impressive House, framed either side by the Wrought Ironwork Fencing and then driven through the amazing Wrought Ironwork ‘Tijou’ Gates into the House Courtyards. The gates are in need of a lot of work to bring them to a resemblance of their former glory. There is more information of the gates on the History page of this site. The project in it simplest form is to clean, conserve, make new where necessary, repair using accountable conservation principles. The final result will show the gates in their prime condition. 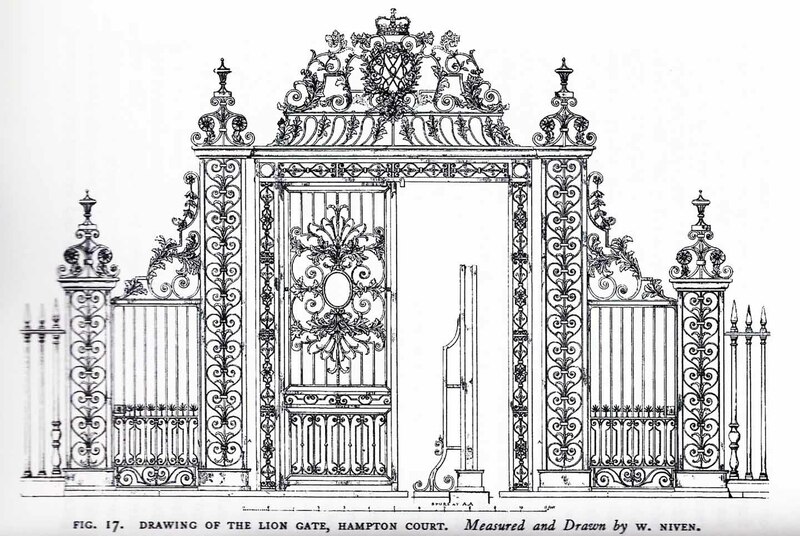 Burrows Lea Forge Ltd. won the tender for the “Restoration of the ‘Tijou’ Gates, side panels as associated to The South Driveway to Petworth House Petworth.” in September 2012. 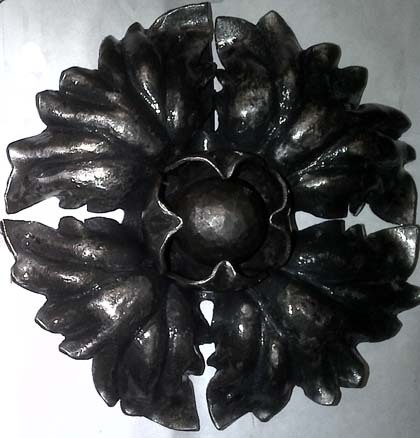 Burrows Lea Forge Ltd. specializes in the management and practice of Heritage Wrought Ironwork Conservation and Restoration.